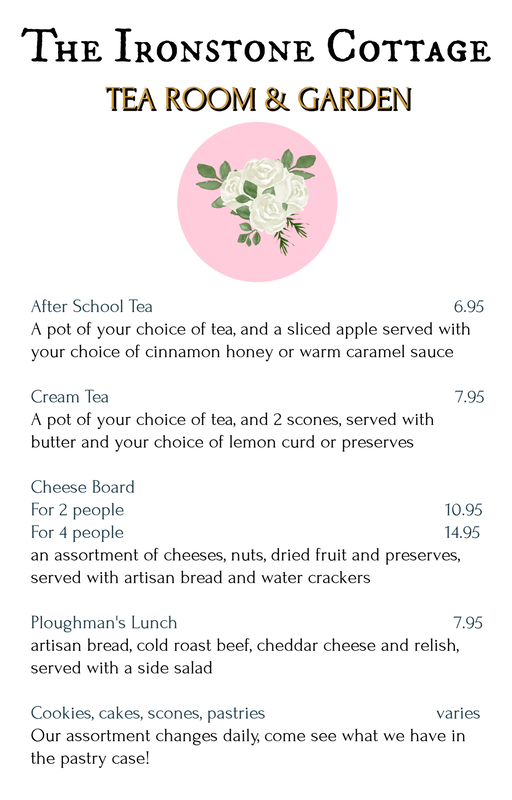 When it's not lunch time, we offer hot tea, desserts and our light tea menu. From 9-11, and from 2-4, you can enjoy an appetizer, dessert or light tea while catching up with friends, resting from your travels or reading a book. Planning to stop and see a friend, but don't want to arrive empty-handed? We can pack your dessert or Light Tea to-go, and we have a nice assortment of gift baskets ready to go in the gift shop.